Teenage Lynn has been taught to defend her pond against every threat: drought, a snowless winter, coyotes, and most important, people looking for a drink. She makes sure anyone who comes near the pond leaves thirsty—or doesn’t leave at all. Confident in her own abilities, Lynn has no use for the world beyond the nearby fields and forest. But when strangers appear, the mysterious footprints by the pond, nighttime threats, and gunshots make it all too clear Lynn has exactly what they want, and they won’t stop until they get it. . . . I have to admit, I was not thrilled to be reading this book. Recommended to me by a friend i thought i would give it a shot. I assumed that it would be unbearingly boring. A girl sitting on her roof shooting at people and animals that get too close to her lake? yawn. While a lot of the book took place on the roof looking through a scope of her riffle, there was also a lot of emotion, thought provoking ideas, complex relationships and surprisingly graphic gore. It was a much better story than I thought it would be. I am also excited to read book number two and find out what happens next. ” In a Handful of Dust” takes place 10 years after the conclusion of book number one, and it sounds like they go on an adventure, and a large one at that! To his dismay, Sam Graves is made hall monitor at his school, Eerie Elementary. He soon discovers that his school is alive and hungry for kids!! He is the only one who can save everyone! Can he be the hero everyone needs him to be? A great read for anyone new to the world of chapter books! Each chapter is about 5 pages long and each page has an illustration. This story has adventure, mystery and friendship. With a cast of colorful characters, this plot it fast paced and full of surprising moments. Fortunately the Milk is the tallest of tall tales. This story about a dad who goes out to grab some milk. It seems like it should be a straight forward outing, buy it turns out to be anything but. This book has a little bit of everything, from aliens and pirates to dinosaurs and time travel. Just when you think it cannot possibly get any crazier, it manages to blow your mind with another plot twist! I think this book is perfect for anyone! Parents, read it out loud to ur kids! Kids, read it out loud to your parents! Adults, need a break from your grown up books? This super quick read will leave a smile on your face for sure! Try it out! What an amazing book! 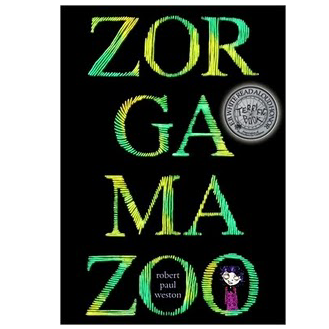 I am so grateful that I stumbled upon a hardcopy of Zorgamazoo in the bargain section of my bookstore! This story is about a Morty the Zorgal and Katrina Katrell, two unlikely friends, and their quest to save mythical creatures. The characters are very well constructed, and the plot does the perfect amount of twisting and turning to keep you guessing without being tedious. Did I mention that the entire book rhymes? All 281 pages of it! I initially thought this book would be hard to read. A whole book that rhymes? It just seems like it would be a lot of work. I was wrong!! Every rhyme is carefully constructed and nothing seemed rushed. This book was so much fun to read that I found myself reading out loud to anyone who would listen! 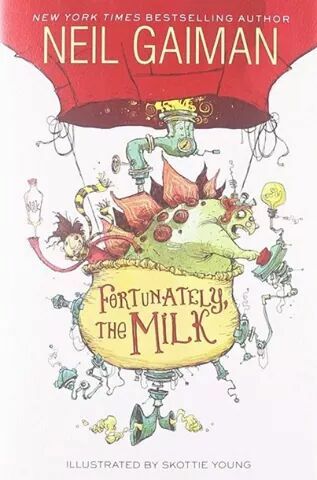 This zany and unpredictable story has a Tim Burton feel to it. Not too scary, unusual and funny! I would recommend it to anyone who wants a fun read!